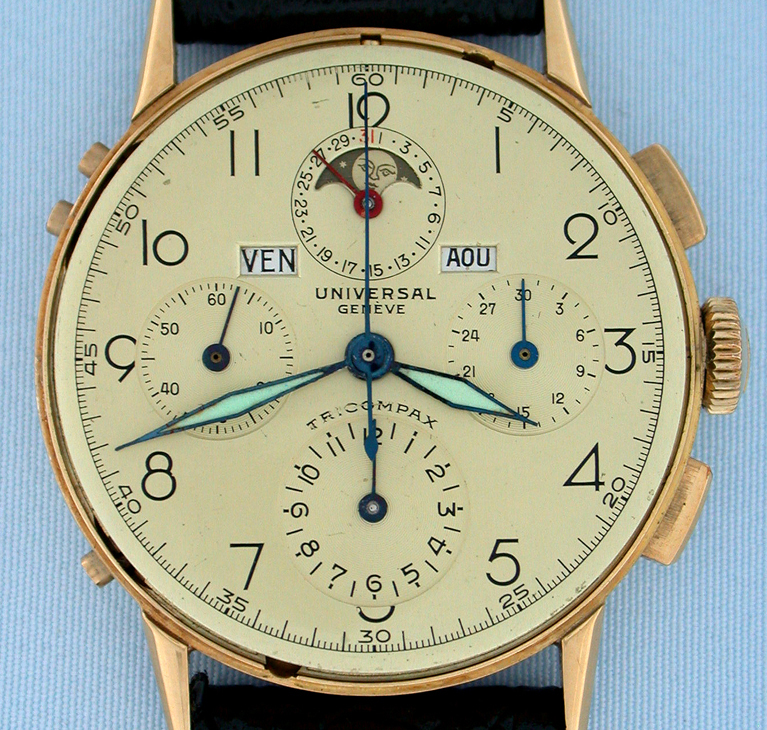 Fine and handsome large Universal Geneve Tricompax 18K yellow gold triple calendar moonphase chronograph vintage wrist watch circa 1945. 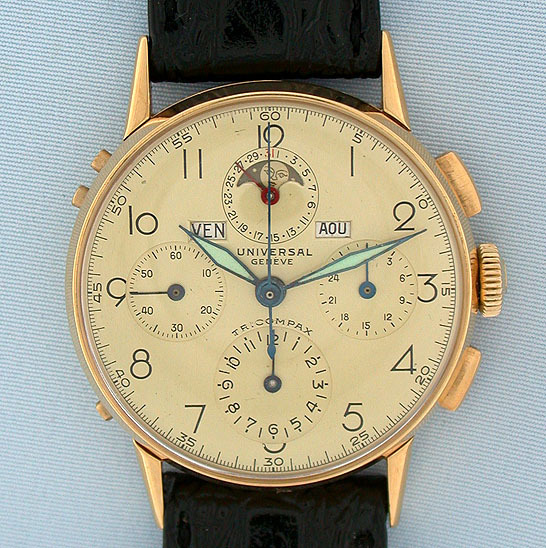 Beautifully gold dial with both luminous and blued steel hands which is either original or wonderfully refinished. 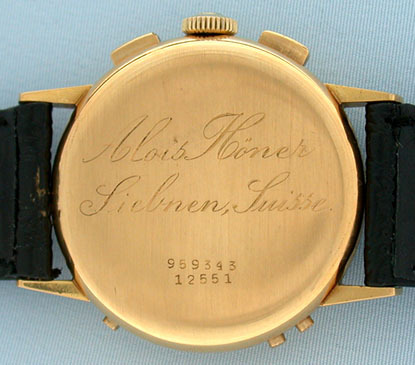 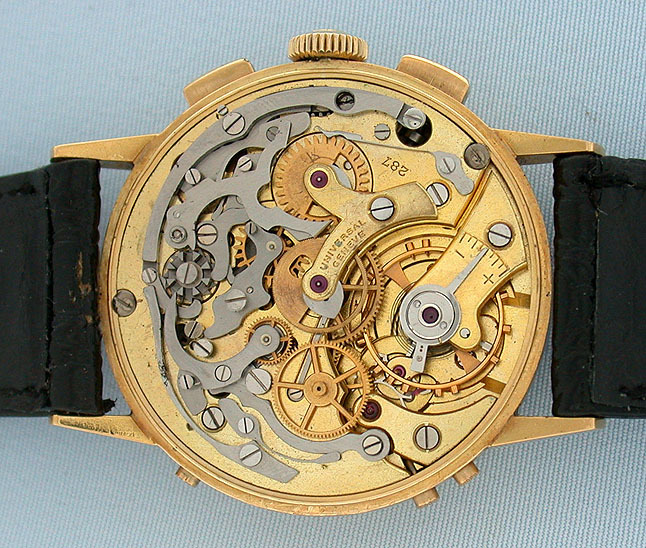 Gilt jeweled movement with the chronograph works mounted on the back. 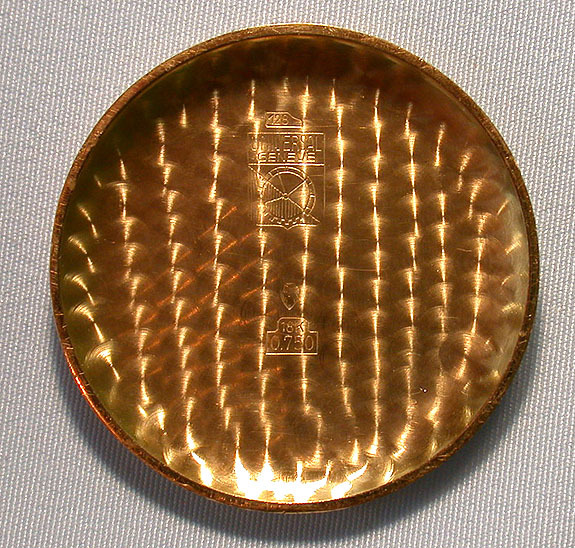 Particularly nice example.